We're here again with another MFT Color Challenge! Join us as we create with this punchy color combination. 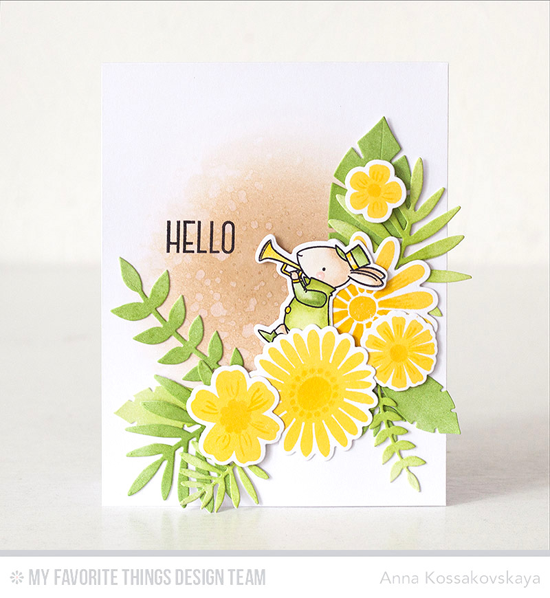 Anna is marching into spring with a cute little bugling bunny from the Strike up the Band stamp set. 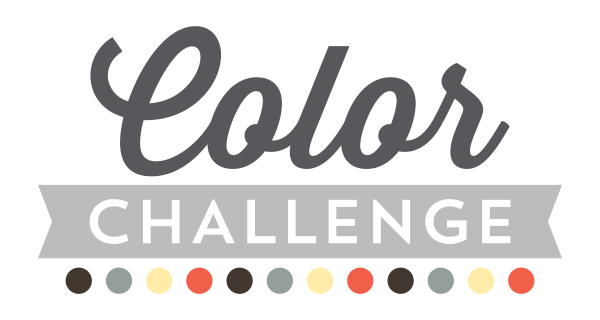 The hues of this color challenge are fun for a band uniform. Her addition of pretty flowers from the Large Desert Bouquet and leaves from the Wild Greenery Die-namics do much to add to her design! Barbara uses Biscotti ink to create her background with the English Brick Wall stencil. It's the perfect setting for the pretty flowers from the Spring Tulips stamp set. The black striped paper adds to her design, and the perfectly placed enamel dots finish it off with great panache. Jodi's colorful card begins with a Daffodil and stencil combination for a wonderful background. 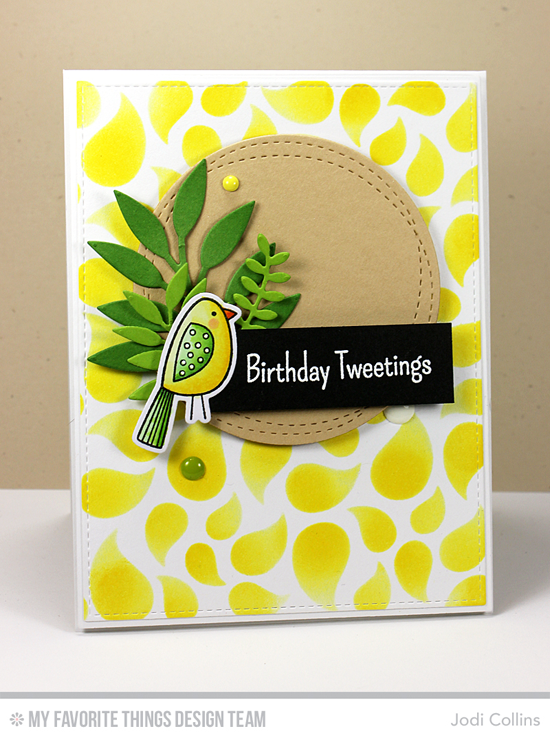 A flourish of leaves behind a sweet birdie from the Tweet Friends stamp set makes for a very happy design! 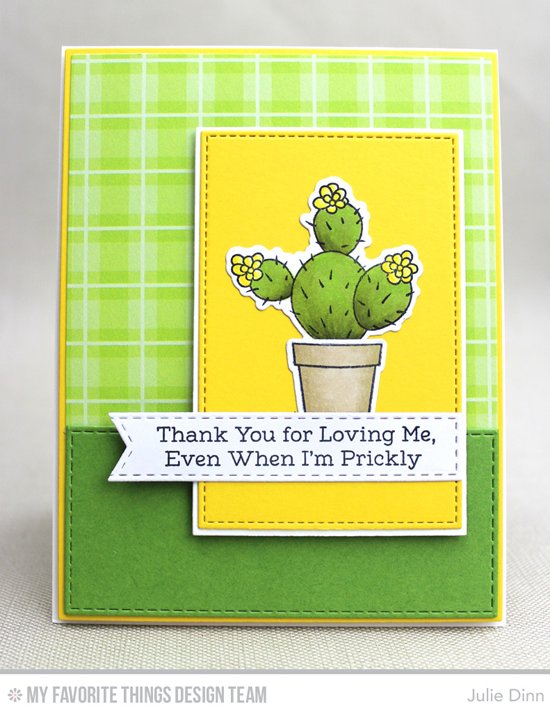 Julie's saturated card exudes warmth with the cactus image from the Sweet Succulents stamp set. The addition of the County Fair Plaid paper pack (which is a perfect color match for Sour Apple and Gumdrop Green) gives the background some flair. You can download the color match chart for this paper pad HERE. 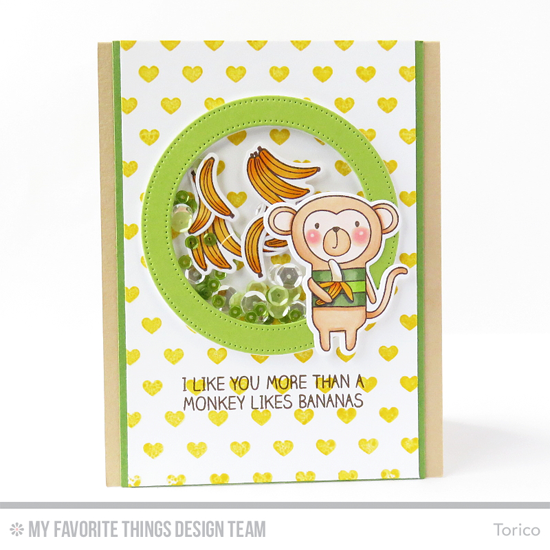 Torico saw bananas and cute yellow hearts in the yellow of this color combination. And what could be better than bananas and sequins in a shaker card? The little guy from the Cheeky Monkey stamp set looks rather satisfied, don't you agree? Congratulations, Shar! You are the randomly selected winner of the MFT Color Challenge. You can view all the entries from the last challenge HERE. You have until Wednesday, March 23rd, at noon EDT to add your link and be eligible for the prize of up to $20 in MFT Cash. Winners are chosen at random, so everyone has a chance! The prize is a $15 Gift Voucher to My Favorite Things, but if you use MFT stamps and/or dies in your project, you’ll receive an extra $5. ooohhh, I love the colors! How many great and beautiful cards in one spot! MFT you have done it again! Hi, Anisoptera! Our team simply participates in our challenges because they enjoy using our products and are inspired by the sketches - they aren’t eligible for the weekly prizes. Rest assured they participate to inspire, not to win!